Surprisingly, the smartphone market saw a reported 9%, year-on-year decline during the first quarter of 2018, despite the exponential growth of Chinese manufacturers. So, while Apple and Samsung confirmed their status as the two most dominant smartphone brands in the world, their own rates of growth have depreciated in an increasingly competitive marketplace. This may have something to do with the rising cost of premium smartphones, of course, which have recently breached the £1000 threshold with the release of Apple’s iPhone X. Even allowing for heavy distributor discounts and the innovative refer a friend deal with Fonehouse, inflated retail prices are starting to cause consternation among some consumers. Interestingly, the same trend is not prevalent in the mobile app industry, which continues to go from strength to strength. By 2020, global app revenues are set to peak at $188.9 billion, with this number having more than doubled in just four years thanks to the prevalence of free tools and flexible, in-app purchase options. The key driver of this growth is productivity apps, which have a clearly defined value proposition and serve a distinct purpose on behalf of users. 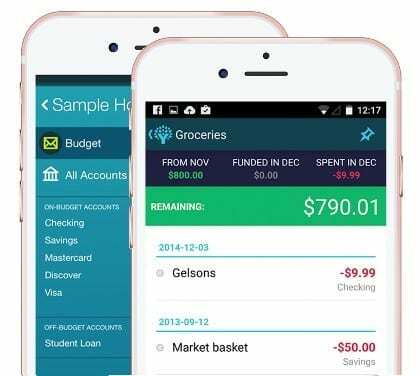 Take personal finance apps, for example, which have become increasingly popular in an economically strained climate. Below, we’ll look at the top three across the Android and iOS platforms. Perhaps the single biggest issue in the modern age is the cost of living, which continues to rise at a disproportionate rate to earnings across the globe. This is particularly prevalent in the UK, where inflation remains fixed at around 3% and real wage growth continues to flat line. To negate this, households are becoming preoccupied with reducing their cost of living, before they can even begin to save money and build towards a more secure financial future. This is where the Wally app comes into play, as it is considered to be the best on the market for tracking and recording expenses. Available on both Android and iOS, it deals in intricate detail and enables you to calculate your expenditure in pence rather than pounds. The app is also clean and particularly easy to use, whether you’re striving to optimise your disposable income to file your expense reports for work. To this end, you can simply take a photo of your receipts rather than log these manually, while the app can also use your device’s geo-location to automatically provide snippets of information. If you use this app over a sustained period of time, you’ll learn how to manage your expenditure effectively while gaining a fascinating insight into where your money is being spent. This should create opportunities to make additional savings on a monthly basis. For the general purpose of managing your money, Mint remains one of the very best and most comprehensive apps on the market. This application is also available on both Android and iOS, as an all-in-one resource for budgeting, minimising your spending and ensuring that your bills are repaid in a timely manner. In simple terms, Mint lets you connect all of your bank, credit and store accounts within a single app, along with your monthly bill information. This means that you can manage your finances easily and seamlessly, without the need to log in to multiple sites. Perhaps the most impressive feature of Mint is its capacity to let you know when bills are due, along with the precise amount that you’re required to pay. This is crucial in helping you to manage your debit and avoid late payment fees, which can create significant issues over time. Throw these features in with insightful financial advice and access to a free credit score, and you have a diverse app that can help you at every stage of the money management process. In instances where you’re already in debt and struggling to repay your bills, you may need an app that tackles this issue specifically. You Need a Budget is designed to suit this purpose, as it’s core focus is to help you pay down debt while continuing to cope with the twists and turns of everyday life. In short, there’s no other app quite like this on the market, and this has seen it become hugely popular on both Android and iOS platforms. This app also features a so-called ‘accountability partner’, which has been designed to guide you through the real-time debt management process and redirect you in instances where you veer off-track. To achieve this, it will provide actionable advice to balance your budget when expected costs threaten to take their toll. 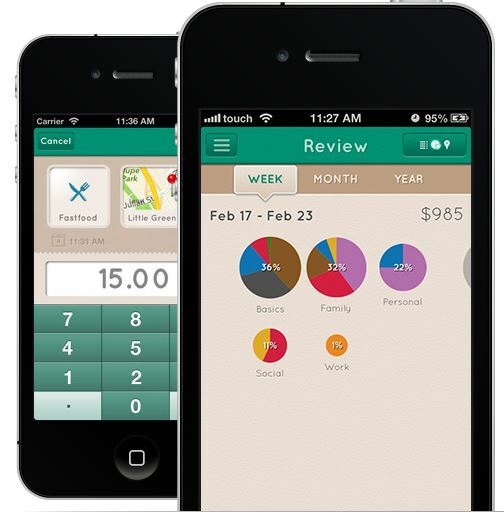 You’ll be required to pay a small monthly fee for this app, but this must be measured against your circumstances and its potential to improve your finances. On average, it’s thought that this app helps users to repay around $500 of debt in the first month of use, making a nominal monthly payment negligible in comparison.